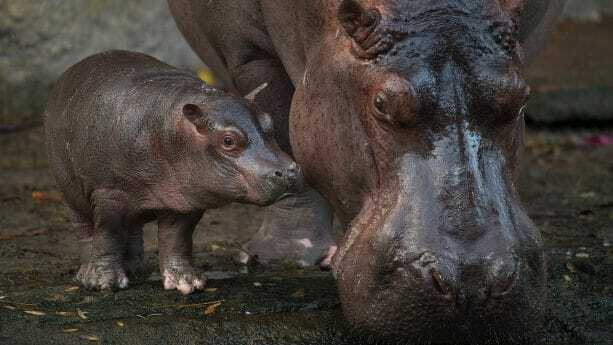 Around this time last year, we had the joy of sharing the news about Augustus, the Nile hippopotamus born in January at Disney’s Animal Kingdom – the first hippo to be born at the park in more than a decade. Knowing how much Disney Parks Blog readers love hearing about Augustus, I’m happy to share he has had a phenomenal first year marked with much, much, much growth – all great for a young hippo. To celebrate Augustus’ 1st birthday, our keepers made a sweet popsicle cake featuring some of his favorite treats as enrichment for him and his hippo family to share. One of the things I like best about my role is getting to spend time with the keepers who work with our animals on a daily basis. Recently, I had the chance to sit down with Lindsay Wick, Augustus’ primary keeper and who has been with him since birth, to learn more about her and Augustus. Q. How long have you worked at Disney’s Animal Kingdom? A. I started working at Disney’s Animal Kingdom as part of the nutrition team in 2016. In 2017, I transitioned to the animal care team where I help take care of many of the animals on the safari, including the black rhino, bongo, okapi and hippopotamus. Q. What do you like best about your current position? A. Right now I am Augustus’ primary keeper, and I have loved working with him since he was born. I have enjoyed watching him develop over the past year and see that he has become braver and braver each day. Q: How much has Augustus grown over the last year? A: Augustus has had a momentous first year in which he has grown from about 80 pounds to more than 800 pounds – that is 10 times his birth weight! He is right on track for a young hippo who could grow up to 3,000 pounds. Q: What are some of the development milestones Augustus has learned in his first year? A: Known for his adventurous spirit, Augustus is thriving. He is very independent, smart and willing to learn. He is currently learning how to make quiet “wheeze honks,” which are a hippo’s way of vocalizing. Q. Are there any similarities between Augustus and his mom? A: Yes. If you look closely at Augustus’ and Tuma’s front feet, they each have a pink birth mark. Q. How do animals learn to participate in their own health care? Q. Why did you choose a popsicle cake to celebrate? A. The popsicle cake was used as enrichment to get the animals curious about something new in their environment to check out and play differently than usual. Some other items used for enrichment could be oversized pool toys, ice, and different textures and tastes. Q. Can Guests see Augustus at Disney’s Animal Kingdom? A. Yes. 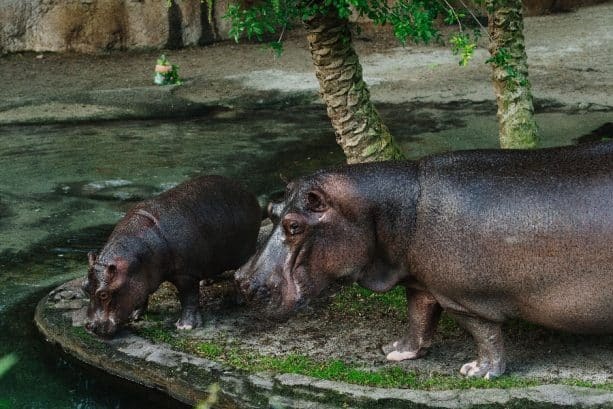 Guests continue to enjoy watching Augustus play and explore his habitat on the Kilimanjaro Safaris attraction where he can often be found splashing around in the river with his mom Tuma and the rest of his hippo family. A. The Nile hippopotamus is a vulnerable species with a declining population. What is important about Augustus’ birth is that his parents were chosen to breed through the Species Survival Plan (SSP), which is overseen by the Association of Zoos and Aquariums. His birth was a huge success for our team of keepers at Disney’s Animal Kingdom and an important contribution to the worldwide conservation and understanding of these amazing creatures. 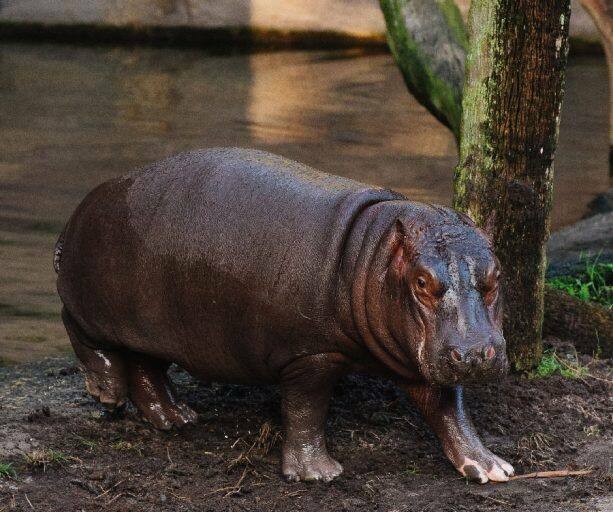 To learn more about hippos, visit DisneyAnimals.com. Happy first birthday, 800-pound Agustus! A popsicle cake is the perfect enrichment treat to mark such a special birthday! Happy Birthday little (well, not so little!) guy! 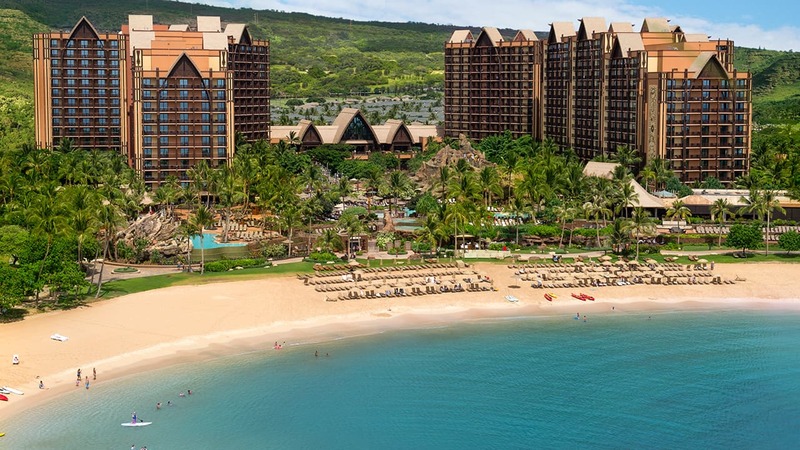 And thanks Disney for all you do for nature and our planet!